In the College of Liberal Arts and Sciences, we're dedicated to helping students acquire the skills and knowledge to become independent thinkers, lifelong learners, and responsible citizens. See a list of CLAS majors. Talk to an academic advisor. Learn about my career options. 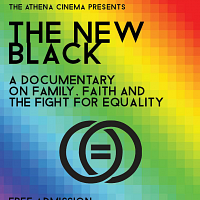 The New Black is a documentary that tells the story of how the African-American community is grappling with the gay rights issue in light of the recent gay marriage movement and the fight over civil rights. The film documents activists, families and clergy on both sides of the campaign to legalize gay marriage and examines homophobia in the black community's institutional pillar-the black church and reveals the Christian right wing's strategy of exploiting this phenomenon in order to pursue an anti-gay political agenda. For questions or to request an accommodation, please contact Tessa Bravata by May 1 at clasalumni@uconn.edu. Checking out a career event, connecting with alumni, and fine-tuning your social media presence are among the five easy steps all CLAS students can take this spring to prepare for life after college.